The world's best live music productions for young audiences. 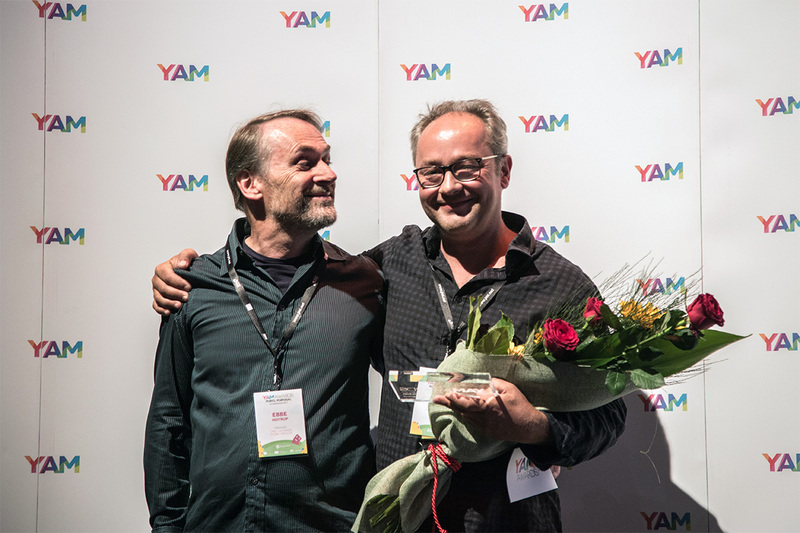 From amongst 60 international live music productions from over 20 different countries, twelve incredible productions for young audiences were nominated for the 2017 YAMawards. 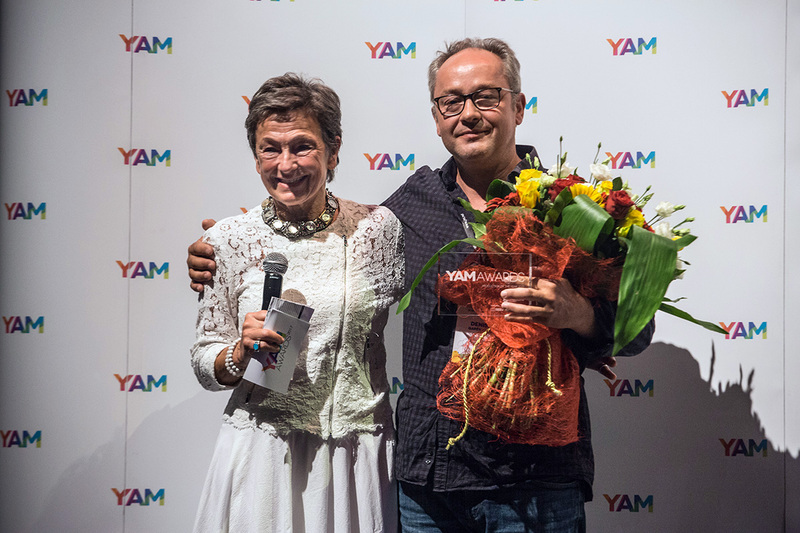 This year's programme culminated in the prestigious YAMawards Ceremony, which took place at the YAMsession in Porto, Portugal on monday 4th of September 2017. 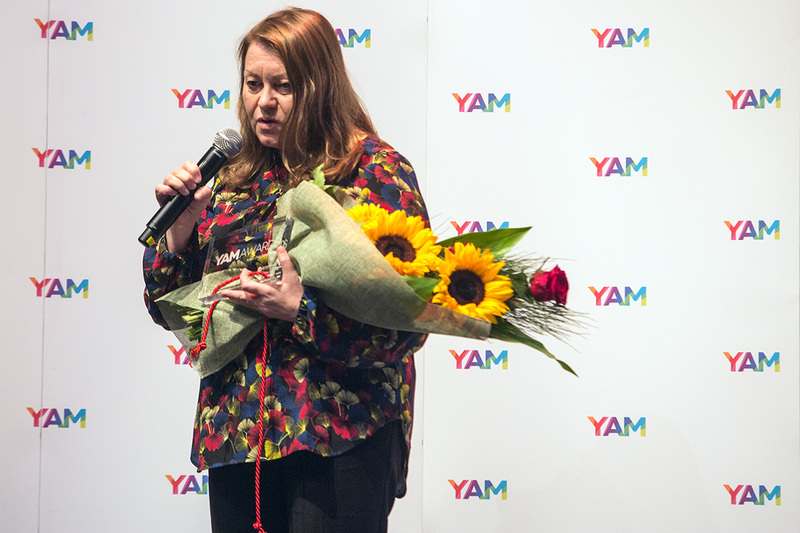 Without further ado, we are thrilled to announce, the winners of the YAMawards 2017! La Balle Rouge, by Denix Garénaux (France). The scene opens with a small red ball in suspension. Around it, two foam figures take their place. This is the beginning of a love story, which becomes the story of a family with their child. One day troubles appear and the helpless child takes refuge on the ball, symbol of the love of his parents. The Planets, by Royal Norwegian Navy Band / Vestfold County council / Kulturtanken (Norway). The stars and planets have mystified and inspired humans since the dawn of creation. From mythology and astrology, through science fiction to astronomy and science, mankind has strived to understand the heavens. Inspired by this quest, "The Planets" combines the Royal Norwegian Navy Band, specially commissioned video-art and contemporary-circus artistry into one breathtaking expression. Ihmepoika A, by Finnish National Opera & Ballet (Finland). Timo Hietala’s music and Karri ‘Paleface’ Miettinen’s libretto creates an opera that sends a strong message about the power of imagination and the fact that no matter what, we should never loose hope. The richness of world music meets on stage the operatic structures and the aesthetics of rap. The Best Opera award is powered by RESEO, a European network for opera and dance education. We opened an online vote to let the audience decide who is worthy the title of the Public Choice Award and the result are in! The Bug Symphony by the City Chamber Orchestra of Hong Kong was the most voted production with 769 votes, followed by 3ACH - A Stairway to Heaven with 499 votes and The Planets with 481 votes. The Bug Simphony tells the story of two human explorers who stumble upon a bug orchestra conducted by a praying mantis (Maestro Mantis) in the depths of the rainforest. They are then tasked by the Maestro to find the eight missing notes of the golden orb spider that will complete a performance for the Queen Bee’s coronation. The evenings most emotional moment came when Jessie Westenholz, JM International's President announced the Production of the Year. 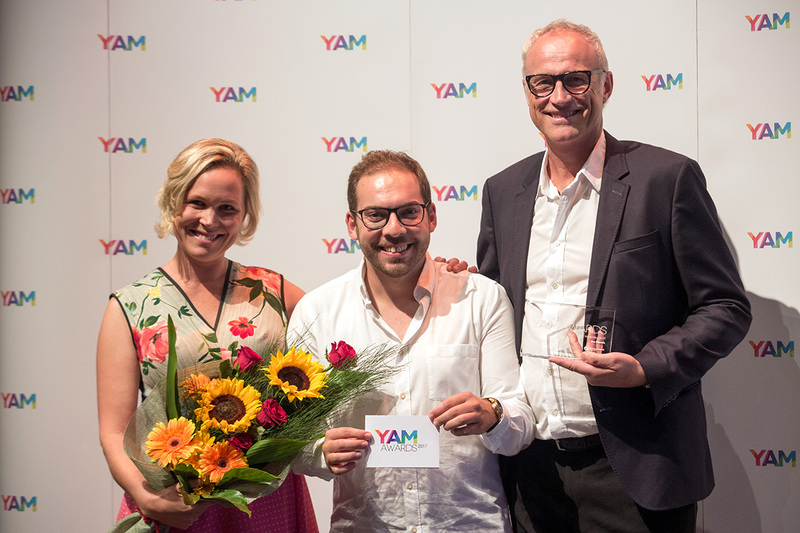 This prize is a special recognition for music production for young audiences. 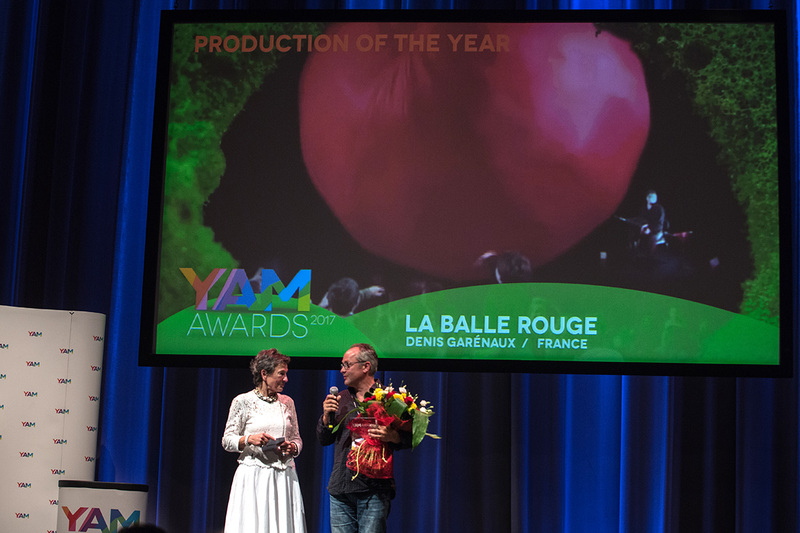 La Balle Rouge won the title and stole the show with two awards. Congratulations to all the winners and all the amazing nominees for their great productions! You can watch all their videos at yamawards.org/winners. 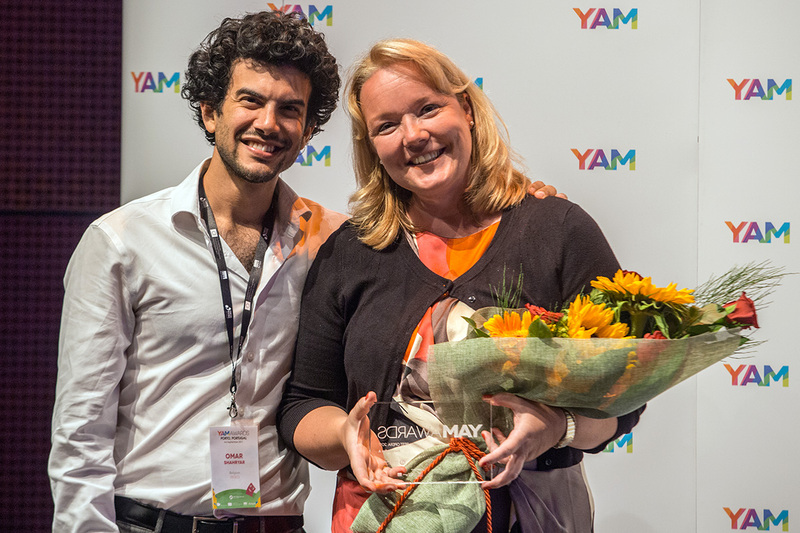 YAMawards is a programme of JM International, in partnership with Casa da Música and RESEO, supported by Creative Europe Programme of the European Union and Belspo.